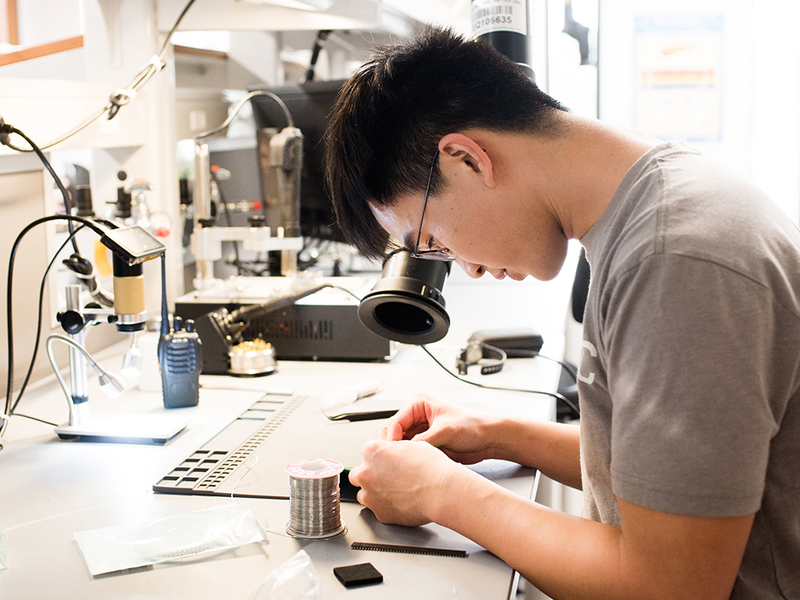 Dozens of courses throughout the Cockrell School include substantial projects that challenge students to find and build creative solutions. 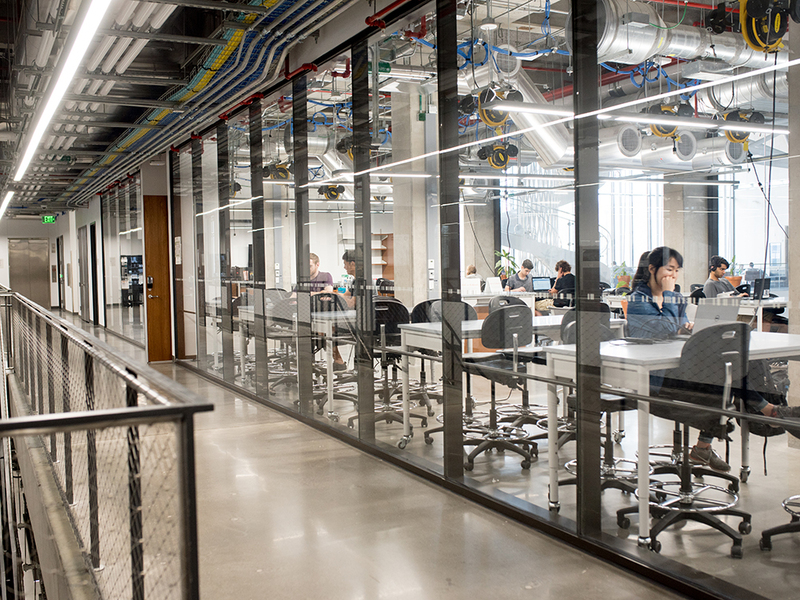 There are more than 23,000 square foot of space throughout the National Instruments Student Project Center and across the Cockrell School. 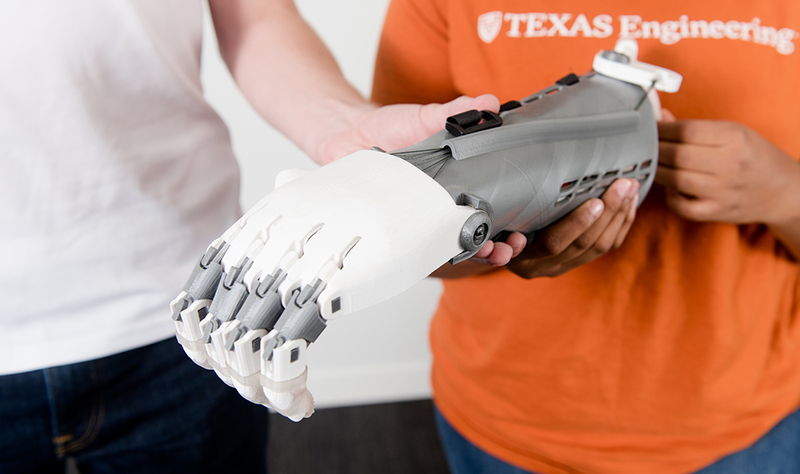 At the heart of Texas Inventionworks is its culture of discovery, collaboration, entrepreneurial thinking and invention, where students learn and create together. 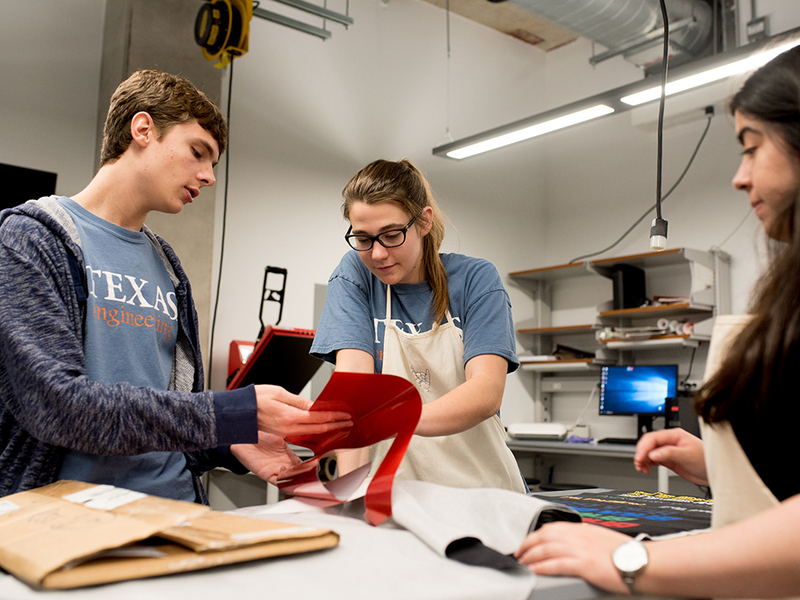 Texas Engineering students Taylor Johnson and Mark Jennings took on a design project that gave them the opportunity to utilize the theories they have learned in the classroom to help someone in need. Texas Inventionworks (formerly Longhorn Maker Studios) is located on Floors 0 and 1 in the 23,000-square-foot National Instruments Student Project Center, the centerpiece of the Cockrell School's newest building, the Engineering Education and Research Center — a 430,000-square-foot hub that connects students across disciplines.